Following extensive negotiations, HSBC Bank Malta and the Malta Union of Bank Employees (MUBE) have reached an agreement on a new Collective Agreement for the Bank's clerical and managerial employees for the period 2011-2013. 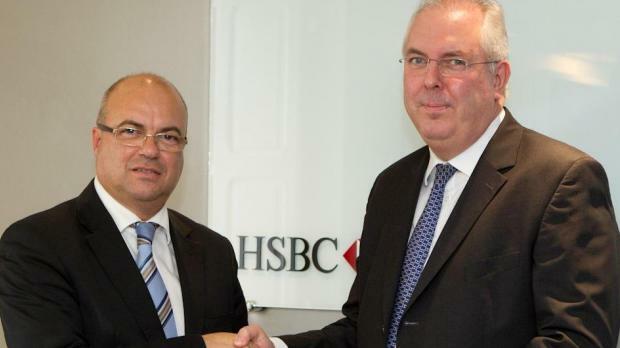 The new Collective Agreement was signed today by HSBC Bank Malta Chief Executive Officer Alan Richards and the President of MUBE William Portelli. The agreement provides for wage increases over the term of the deal as well as increases in allowances. An agreement has been also reached between HSBC and the General Workers' Union (GWU) on a new Collective Agreement for the Bank's non-clerical employees. The new agreement, signed today by Alan Richards and Cory Greenland - Secretary of the Professionals, Finance and Services Section of GWU, includes wage and allowance increases. HSBC and the trade unions expressed their satisfaction at signing the new agreements and augured that these will help to continue to improve the employees' conditions and rewards whilst sustaining the bank's performance in Malta.